We are excited to meet the next member of our team. Working at eyecandy means working with bright colleagues and great clients in a progressive work environment. We are looking for 2 upbeat, skilled inidividuals to join our design and fabrication teams. To learn more about the position head over here. eyecandy attended an inspiring National Conference for the Canadian Healthcare Engineering Society (CHES) in Vancouver from September 11-13. The conference explored working towards wayfinding improvements with health care leaders from across the country. We are proud to be partnering with Saint Mary's University as their exclusive sign provider. Looking forward to what we will create together! Do you have a trade show coming up? eyecandy SIGNS INC. rents out trade show display frames. We have options for (8’x10’) frames and and pop-up banners that can be can be fitted with custom graphics. The trade show display frames are rented out on a weekly basis. Give us a call today at 902-429-8281 to discuss the design options available or to schedule your trade show display rental. Do you have multiple trade shows upcoming this year? Talk to us today to discuss the many options available for custom trade show booths and displays. eyecandy SIGNS INC. will be attending the IIDEX Canada 2015 Design and Architecture Conference. The annual show focuses on all areas of design including workplace, healthcare, hospitality, retail, residential, education, architecture, landscape architecture, lighting and sustainability, wellness and accessibility. The Conference will feature many design exhibitors, seminars, and keynote speeches. The 2015 IIDEX Conference will focus on the benefits of accessible design. eyecandy will feature accessibility through wayfinding signage systems that meet AODA standards for accessibility. 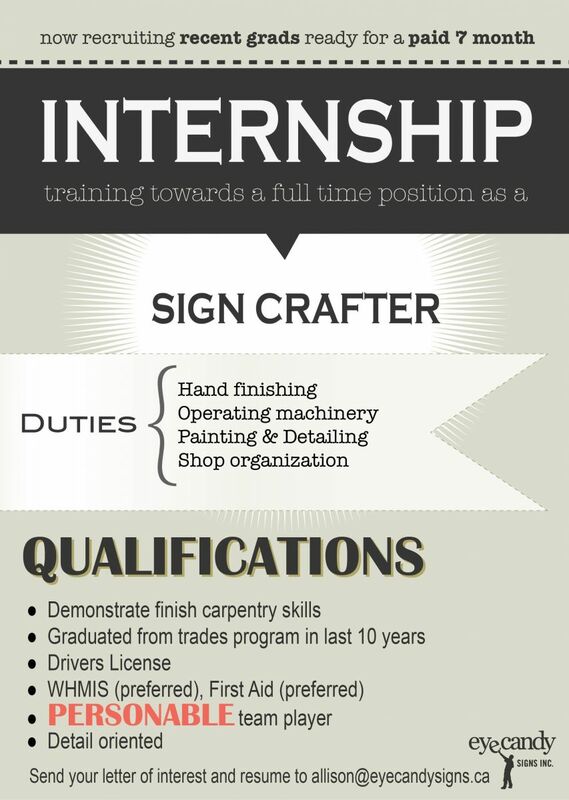 eyecandy SIGNS INC. is proud to be partnering with NSCC. Over the next 3 years we will be working closely with the 13 campuses to develop and implement a wayfinding strategy that improves building navigation, communication and upholds accessibility standards. eyecandy SIGNS INC., recently named a NovAcryl preferred fabricator, will be joining NovaPolymers at the CONSAC National Sign & Graphics Trade Show in Toronto, ON! Keep an eye out for updates and details as the date approaches! eyecandy SIGNS INC. was named a preferred photopolymer tactile signage supplier NovAcryl after successfully completing a manufacturing process and facility audit. 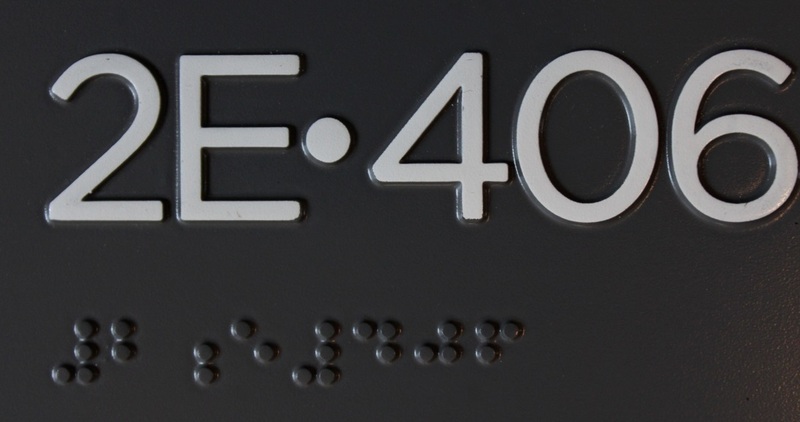 This rigorous certification process demonstrates eyecandy's commitment to creating superlative braille and tactile signs using photopolymer production techniques from their Halifax, NS facility. eyecandy SIGNS INC. offers completely customizable braille and tactile signage systems for architects and designers, with reduced cycle time and high efficiency. This line of products is ADA compliant and exceeds UN standards for accessible design. The complete requirements for the preferred supplier recognition as well as eyecandy's status as a preferred fabricator can be located online here. The International Sign Expo 2015 celebates education and networking in the signage industry. The eyecandy team joined ISA professionals and affiliates in Las Vegas, Nevada. The show provides countless opportunities to stimulate industry growth and global markets with signage leaders and innovators. Here's a recap of what took place over the weekend! "Success sure tastes sweet for eyecandy SIGNS INC. For the past 18 years, this north-end Halifax company has been designing, producing, installing, and maintaining boutique and hand-crafted signs for area businesses, all the while picking up new clients and industry recognition" writes Alison Delory for Local Connections. The feature article (pp. 54-55) chronicles eyecandy's dedication to shaping neighbourhoods, creating engaging streetscapes, contribution to the local business ecosystem, and adoption of evolving production techniques. As an American Institute of Architects certified Continuing Education Provider eyecandy SIGNS INC. offers training for architects and designers with an interest in accessibility and barrier free design. The course covers international ADA accessibility requirements, including the 2010 standard for room identification signs. Allison Moz discusses the motivations and return on investment of upgrading from raster braille to photopolymer braille production. The move to produce photopolymer braille in house comes in response to the increased global demand for photopolymer. Following the UN's decree on the rights of persons with disabilities, architects increasingly specify photopolymer. Producing photopolymer in house has decreased production "time lines from eight weeks to three days and reduced cycle times by about 45%" writes Leslie Gallagher for Progress Magazine. Read the full article in the December issue of Progress. eyecandy SIGNS INC. has been titled the 8th fastest growing company of 2014 by Progress Media! Progress writes: "These are the companies that are setting the pace for the new economy, not just for Atlantic Canada but also nationally." For 15 years Progress Media has ranked companies in Atlantic Canada demonstrating the most significant increase in revenue and growth. eyecandy SIGNS INC. ranked 8th overall amongst the fastest growing companies in Atlantic Canada! 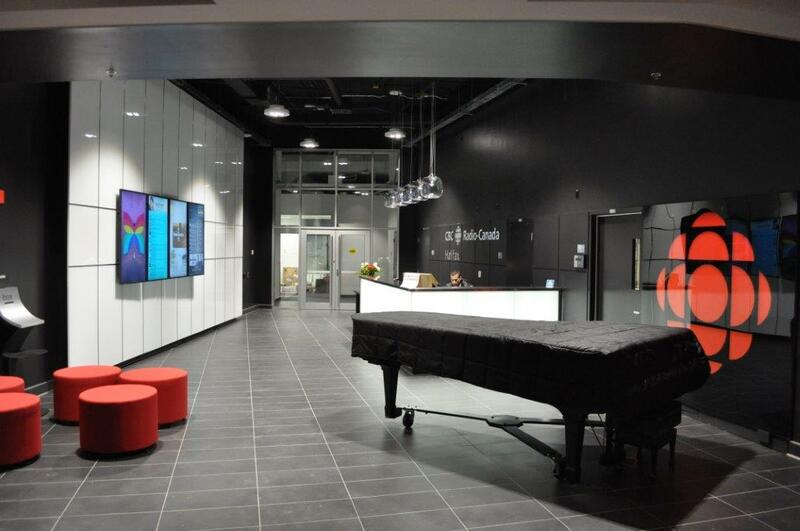 The transformation of the former Hudson's Bay retail space to house CBC Nova Scotia's television broadcasting centre involved an illuminated signage system and statment piece feature wall. Tom Murphy tours the new location and shows off some of eyecandy's work in the process. For a behind the scenes look at the installation - we documented the experience in our photo album :"Lighting up the CBC". Episode 5 of this season's Hotel Impossible airs tonight on the Travel Channel. Tune in to see Anthony and his team (including eyecandy SIGNS INC.) work together to transform a struggling family-owned hotel in Aiken, South Carolina. 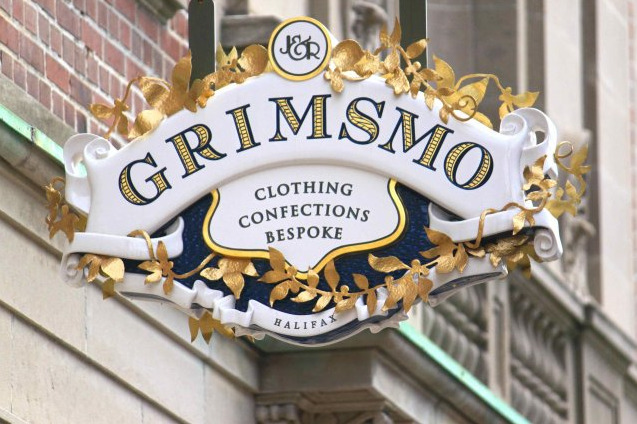 J&R Grimsmo's hand sculpted sign has received recognition three years running, evoking old world elegance and handmade charm. eyecandy SIGNS INC teamed up Hotel Impossible to enliven the hotel's appearance and strengthen their brand identity. Anthony shares his first impressions of the hotel - watch the full episode to see how he evokes some of Cape Breton's charm at the Hearthstone Inn. Anthony Melchiorri's tough love approach reinvigorates struggling hospitality businesses on the Travel Channel exclusive, Hotel Impossible. Melchiorri was responsible for the successful overhaul of the famous Algonquin Hotel in 2004, and continues to put his skills to work for small business owners. Back for it's 5th season, Hotel Impossible teamed up with eyecandy SIGNS INC. to revitalize the brand and image of hotels across Canada and the United States. Season 5 premieres October 7th, tune in to catch your favourite sign team on television! We're looking for some new eyecandy! If you're a sign crafter extraordinaire or know you could be, be in touch. We know experience looks different on everyone - accepting applications until August 31. The eyecandy SIGNS INC. team travelled to the Cape Breton Highlands to install a sign system for Cabot Links. Owners, Ben Cowan-Dewar and Mike Keiser, have created an authentic links course between the ocean and the town of Inverness - establishing Cabot Links as one of the most renowned courses in the world. eyecandy SIGNS INC. co-owners Allison Moz and Jake Ethridge joined partners from Kisserup International Trade Roots and Nova Scotia Business Inc. in Trinidad and Jamaica this month, reinforcing a partnership to adopt UN accessibility standards. Accessible design advocate, Allison Moz, worked with boutique hotels and commercial resorts to implement universally accessible wayfinding solutions and barrier free design. eyecandy SIGNS INC. is pleased to announce the acquistion of a National Certificate of Recognition. We are recognized by the Workers' Compensation Board of Nova Scotia for our rigorous safety requirements and standards. The COR certification represents eyecandy’s commitment to a safe work culture and represents eyecandy’s ongoing safety strategy to lower risk and prevent injuries in the work place, while upholding the highest safety standards in Canada. eyecandy SIGNS INC. is honoured to be acknowledged by ST Media Group as they announce the winners of their 37th International Sign Contest. 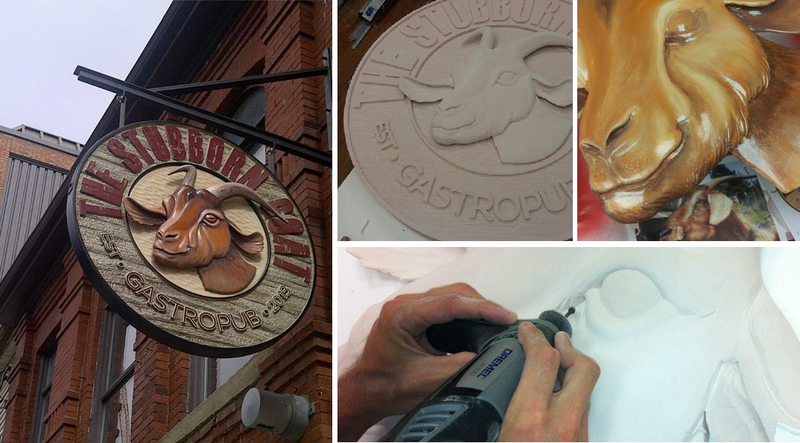 Our double sided hanging sign for the Stubborn Goat Gastropub took home second place in the commercial building signs category, earning recognition for its multiple layers of carved design, and hand painted sculptural elements. For more details about this labour intensive, and well rewarded, process take a look at this photo series from inside our workshop. Over 84 000 Atlantic Canadians live with either blindness or significant loss of vision (according to the CNIB) – in fact, over a million Canadians are affected by sight. And did you know… that eyecandy makes tactile braille signs? With the recent addition of an advanced photopolymer system to our roster of cool tools we’re emerging into the tactile sign industry. Mahone Bay boasts that: “we love the beauty around us and welcome you to share it” and eyecandy SIGNS is reinforcing that sentiment with the design and fabrication of three new entrance signs which will proclaim it from the town boundaries. South Shore Now wrote about the redesign here - but you can follow our blog for the first look at the finished signs this summer! "We're trying to stand on a national soap box and say 'We're here, this is what we can do,'" says Jake, to reporter Josh O'Kane from the eyecandy office. Jake and Allison dish on the transformation of the signage industry, new technology, messing around in the shop, and going global in this Globe and Mail article. Business experts from across the company weigh in on the question: "How can a local business that prides itself on handcrafted care and personal connections expand to a larger market where their work is less known?" Check out their reflections here. 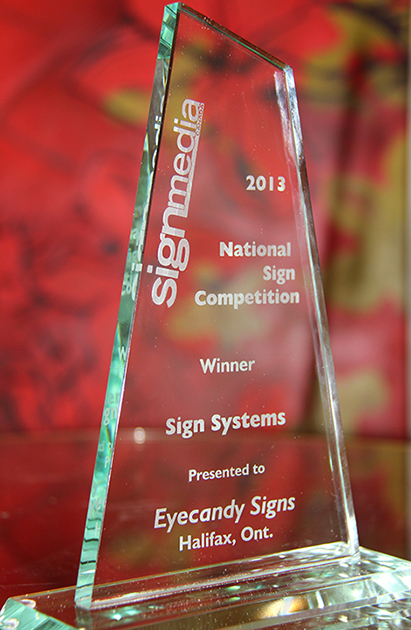 We’re excited to announce eyecandy SIGNS INC. has recently been handed top honors by Sign Media Canada. At the 2013 National Sign Competition we were awarded for our sign system designed for Pete’s ToGoGo; a Halifax favorite whose new location at the Dalhousie Student Union Building has been sweetened with some eyecandy. Sign companies from across Canada were honored for their exceptional work in many specialty areas, and eyecandy SIGNS INC. is honoured to be amongst them. In a recent article addressed to fellow sign companies, Allison Moz, espouses the influence thoughtful signage has in communicating economic viability, and the opportunities of a town. 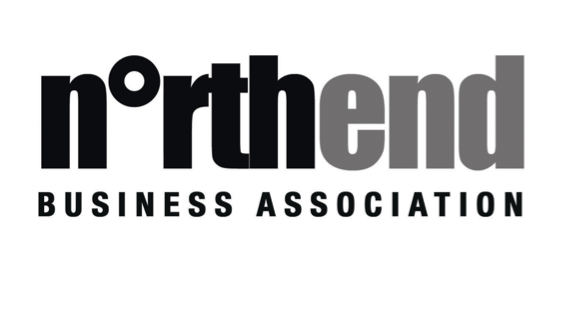 In her article Allison explores the challenges downtown cores are facing across North America. She urges fellow sign makers to engage revitalization efforts and to build partnerships with business associations and urban designers; to contribute creative expertise and collaborate with planning professionals in fulfilling the potential of our urban environments. From September 17th to October 7th Progress Media will be presenting the Top 101 Awards, celebrating business in the maritimes. With events in Nova Scotia, New Brunswick, Newfoundland, and Prince Edward Island; this all encompassing event celebrates the hard working business people of the Maritime provinces. eyecandy SIGNS INC. is a proud sponsor of this event, and we want to congratulate all the companies that contribute to a rich Maritime culture and economy. eyecandy SIGNS’ Allison Moz has been building connections between North End Schools and local philanthropists for the past 2 years. Allison is an advocate of the North End’s unique vibrancy and culture. Her current endeavor is a process of revitalization with a focus on urban play grounds. The intersection at Charles St and Maynard St. is a transiant and industrial landscape with autobody shops and vacent lots lining the streets. There is also a school yard. And four old chestnut trees. 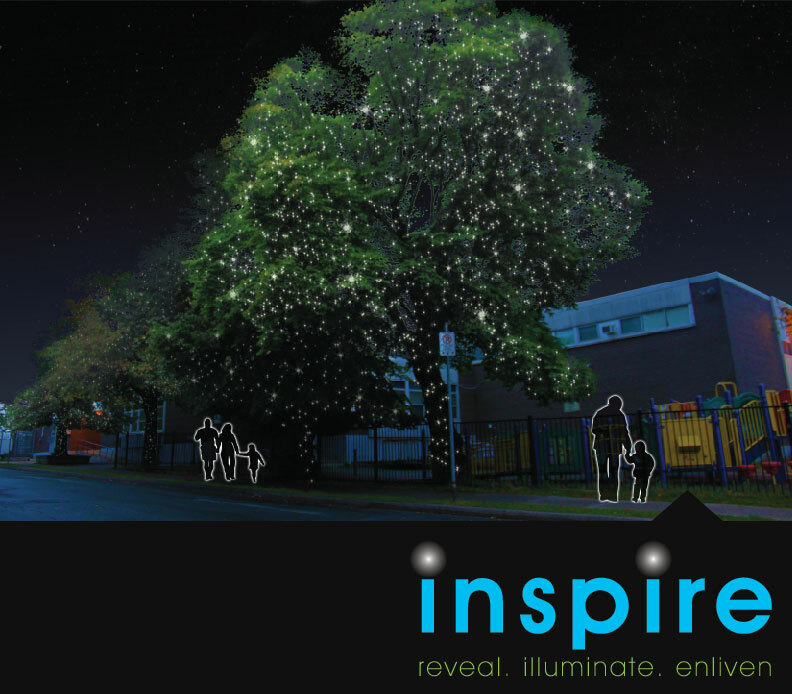 With 5000 LED bulbs Allison intends illuminate the playground and create a sense of place amongst the awkward industrial corner. She will draw your eyes away from the broken down cars and towards the quiet street that serves as the main entrance to Joseph Howe school. We're in! The boxes aren't all unpacked but we've officially moved into our new location at 2705 Agricola Street. ST Media presents awards to the top sign shops across the globe. 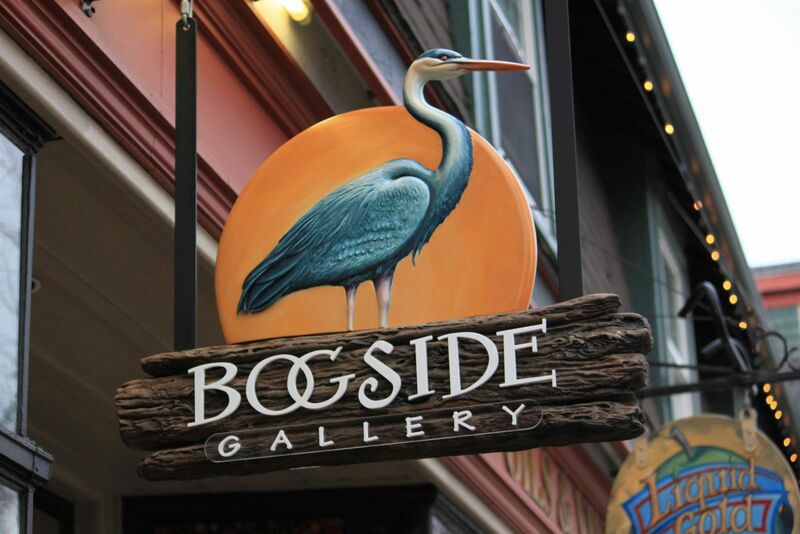 eyecandy was particularily strong in the Commercial Building Signs category, taking home second place for the fabulous J&R Grimsmo and honourable mention for Bogside Gallery. Acrylic. Lamicoids. Beans. Glass. Wood. What do these have in common? These are all materials we've been burning/cutting/etching since we bought our new laser engravor last month. That's right! We're turning up the heat. Focusing our beams and getting ready to zap. Have a look at our blog to see what happens when creative people get their hands on laser beams. eyecandy is now the proud owners of a little white fiat dubed "Li'l beast". We'll be wrapping the Li'l beast with some bold eyecandy over the next weeks so you'll be sure to see Jenna bombing around town and can give her a wave! A stunning addition to the downtown landscape this condominium was jointly designed by Halifax creative leaders at Breakhouse and the architects at MNA. We are excited for the opportunity to bring our best to this landmark, ten story development as we manufacture and install the interior wayfinding package and exterior signage. Check our facebook page and blog for photos of this extraordinary signage suite. When we began working on the sign for J & R Grimsmo, a new ladies clothing and accessories boutique, we knew we were onto something. This gorgeous sign was created with extreme detail boasting both carved and sculptural elements, and beautifully articulated with intricate gold leaves which were individually formed by the hands of our extremely talented production artist, Mr. Adam Broome. This sign is a true reflection of the character you’ll find within this gorgeous new boutique, owned and operated by the lovely Jessy Lacourciere and Rachael Grant. Destroyed by fire in 2009, the Beaverbank-Kinsac Community Centre was an extremely important fixture for local residents. eyecandy is honoured to be a part of this project. It’s a privilate to help restore a community and we are happy to do our part in providing exterior signage, and a vibrant interior wayfinding system . Check our blog for photos the facility wide sign package and for more information about this heart-warming community project. Late November we will be unveiling an exquisite sign system at the PCWC grand opening. We are extremely honored to supply and install the interior Wayfinding signs and exterior illuminated signage at the much anticipated Pictou County Wellness Center. Join us November 16 at the grand opening to celebrate an extraordinary community. 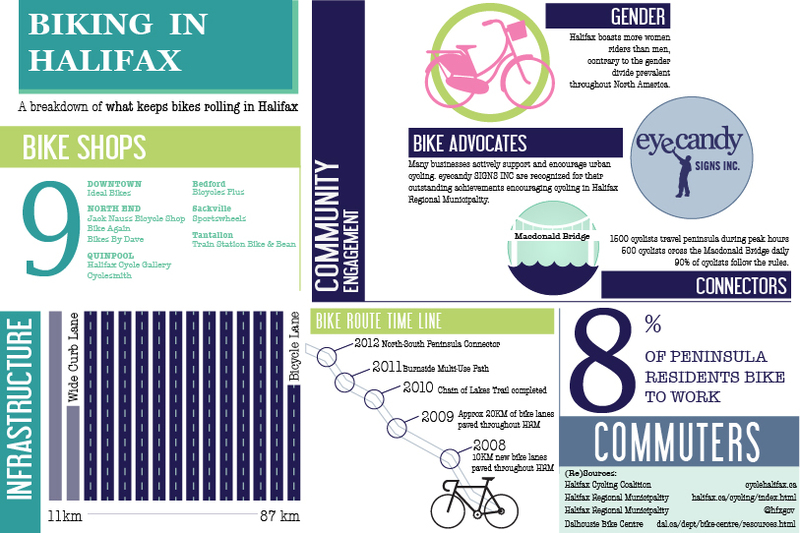 eyecandy SIGNS is proud to receive this years Halifax Cycling Coalition award recognizing our leadership, commitment and big smiles in making Halifax a bike lovin' city. as of Midnight tonight we are the proud new owners of 2705 Agricola St, the former Frames Plus Art building. We have much to do to get ready for our spring move and look forward to having all our clients, friends and family join us for a house warming in June. We'll keep you posted with renovation photos on our Facebook and google+ page. Team eyecandy was in high spirits last night as we celebrated Venus Envy's win at the Best of Halifax party. We are encouraged to see Venus Envy take gold and are looking forward to another great year of creating exceptional street scape art. There's no other city quite like Halifax. Last month marketing divas Vonk and Kestin launched their site "swim" in response to the lack of leadership that exists in ad agencies the world over. The duo continue to illustrate how a Starbucks barista gets more training than the average agency employee. It stings a little. But lets think about it. Baristas do more then pour a perfect cup of joe. They are the brand ambassadors. So with a watchful eye on brand management and we cracked the spine on Howard Schultz' Onward. Next up is Martin Lindstrom's Brandwashed. Followed with Arlene Dickinson's Persuasive. Allison Moz is passionate about design. 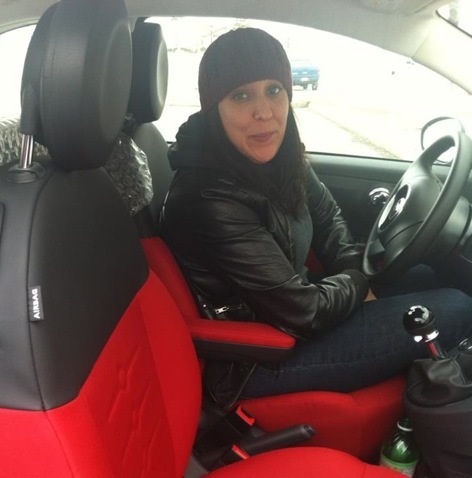 Her contributions to community brand and navigation are being recognized by Fusion. Yesterday Allison was announced a finalist for the Fusion, Go! Urban Design Award. The peer driven award “recognizes someone who works to engage all partners in forward thinking dialogue to create a vibrant, sustainable and enjoyable city through smart urban design and development.” For a list of all awards and finalists visit 9 Go Awards. Allison is committed to improve the function and experience of the communities she works within. She is a valuable consultant as she partners with architects, developers and stakeholders in revitalizing community environments. “The process of design is thoughtful,” says Allison whose reputation hinges on her ability to incorporate accurate navigation with culture. We are excited to announce her nomination for the Urban Design Award and welcome you to give her a shout out at the award ceremony where one of the three finalists will be presented the 2011 Urban Design Award. For ticket information visit Ticket Atlantic. You can also email Allison if you have any façade improvement questions, wayfinding projects, or just want to say “hi”. eyecandy loves our neighbourhood. We talk about it in superlatives. This is absolutely, hands down, the very best place to work and live. Recently the business community formalized a highly passionate and forward thinking business commission. It's only right that our very own Allison Moz sits on the board. Elected board officers include: Michelle Strum, Chair; Fred Connors, Vice-Chair; Allison Moz, Secretary/treasurer; Bernard Smith, Executive Director. "The board is made up of highly intelligent and creative individuals. We want to be strong. We want to be positive. We want to be receptive." says Allison who promises to keep us up to date. 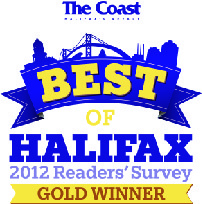 We're nominating Venus Envy as Halifax's Best Retail Sign! We're turning the heat up and asking our neighbours, our friends and our family to vote for their favourite Halifax sign. 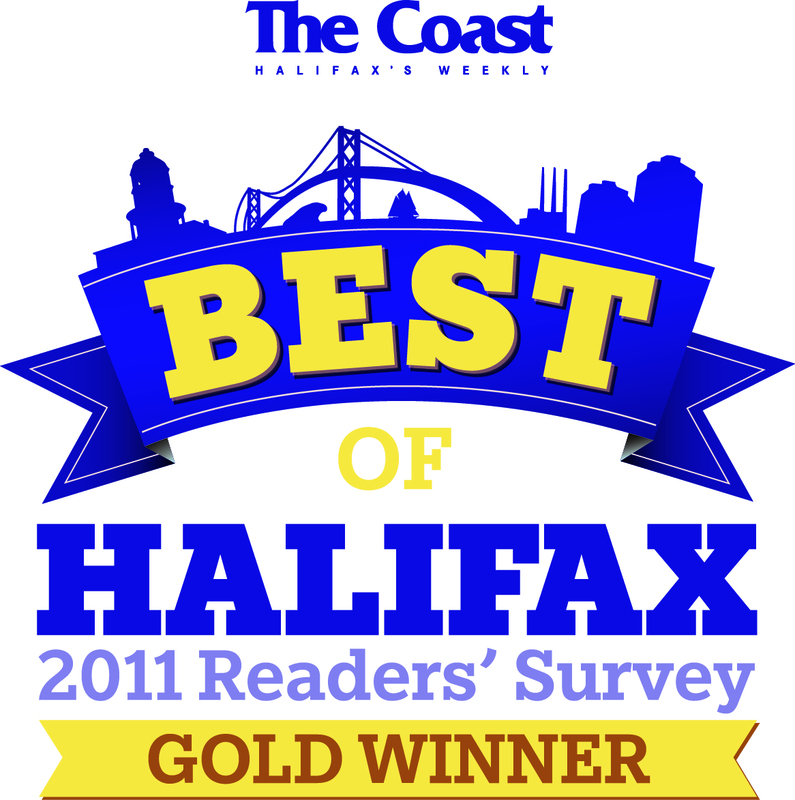 We're excited to see what Halifax thinks... Click here to participate in The Coast's survey and share your opinion on what makes this city tick. 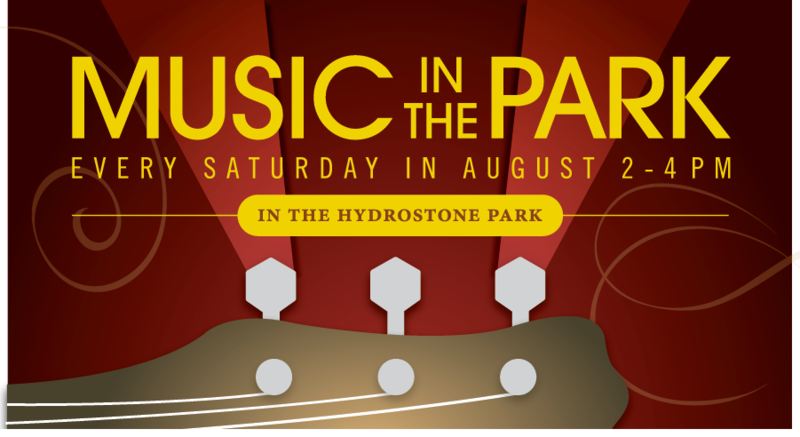 Every Saturday for the whole month of August The Hydrostone Businesses will be hosting a musical afternoon. Join the community from 2-4 in the Hydrostone Park as we celebrate The Hydrostone's recent distinction as the 2nd best neighbourhood in all of Canada. We're proud of our neighbourhood and hope you will be able to celebrate with us one afternoon this month. By incorporating their collegiate colours MUN has developed a thoughtful wayfinding system that enhances the University's brand while fulfilling the function of navigation. Keep an eye on our Facebook page to see how these modular wayfinding signs merge form and function. The eyecandy book club is reading Emotional Branding by Marc Gobe. Join us, it's a brand power classic and leave a comment on our blog naming your favourite design book. We're pleased to welcome two new members to team eyecandy. Welcome, Julia and Andrew! It may seem like an odd time of year to be thinking about Christmas, but at eyecandy the spirit is alive. We're working like little elves, building our Christmas inventory and are looking forward to sharing a new line of eyecandy HOMES products this fall. Keep an eye on our blog and Facebook page for behind the scenes look at developing products.